To understand at least in a small way the “higher level Unity” and the “lower level Unity” of G-d.
And so it is with all created things in all the upper and lower worlds, and even this physical earth which is the “kingdom of the silent” (inanimate). If the letters of the Ten Utterances [spoken by G-d in Genesis ch. 1] by which the earth [and all existence] was created during the Six Days Of Creation were to depart from it but for an instant, G-d forbid, it would revert to naught and nothingness exactly as before the Six Days of Creation. 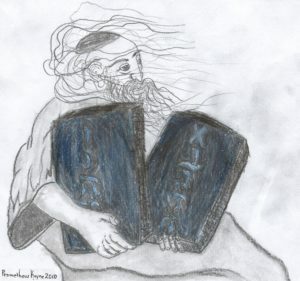 This thought was expressed by the AriZal [Rabbi Yitzchak Luria Ashkenazi, 1514-1572] of blessed memory, when he said that even in completely inanimate matter, such as stones or earth or water, there is a “soul” and spiritual life-force – that is, the enclothing of the “letters of speech” of [G-d’s] Ten Utterances which give life and existence to inanimate matter that it might arise out of the naught and nothingness which preceded the Six Days of Creation. Chapter 3: Now … every intelligent person will understand clearly that each creature and being is actually considered naught and absolute nothingness in relation to the activating force and “breath of His mouth” [see Psalms 33:6] which is in the created thing, continually calling it into existence and bringing it from absolute non-being into being… that alone continuously brings it forth… Hence, there is truly nothing besides Him. Chapter 4: It is written, “For a sun and a shield is Hava’ye Elokim.” [Psalms 84:12] The explanation of this verse: “Shield” is a covering for the sun, to protect the creatures so that they should be able to bear [its heat]. 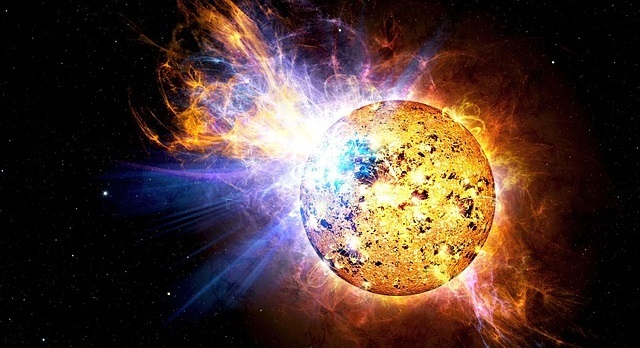 As our Sages of blessed memory said, “In Time to Come [the Messianic Era], the Holy One blessed be He, will take out the sun from it sheath, the wicked shall be punished by it…” [Talmud, Tractate Nedarim 8b]. Now, just as the covering shields [the earth from] the sun, so does the name Elokim shield [i.e. conceal] the name Hava’ye, blessed be He. The meaning of the name Hava’ye is “That which brings everything in to existence from nothing,” … indicating that the action is present and continuous. For the fact that they were created during the Six Days of Creation is not sufficient for their continued existence, as explained above. Chapter 5: Concerning this the Sages of blessed memory said, “Originally it arose in [G-d’s] thought to create the world with the attribute of stern Judgement [i.e., complete concealment]; He saw, however, that the world could not endure, [so] He combined with it the attribute of Mercy,” that is, the revelation of G-dliness through the righteous [such as Noah, Abraham, Moses, etc.] and the signs and miracles recorded in the Torah.” … [Before the Messianic Era,] it is only the righteous [souls] in the Heavenly Paradise who are granted the reward of comprehending the spreading forth of the life-force and light which issues from these two Divine Attributes, Kindness and Might.